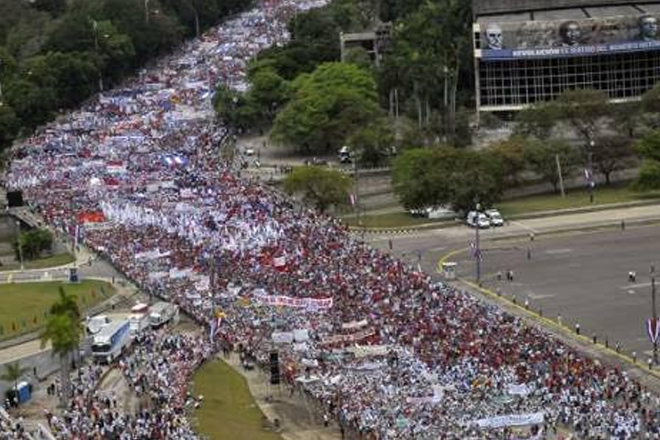 HAVANA, Cuba — Millions of Cubans gathered on Monday for the traditional May Day parades. Cuban President Raul Castro presided over the huge May Day march at Havana’s Revolution Square, along with Communist Party Politburo members. Raul Castro was accompanied by leaders of grassroots organizations, and some 1,690 representatives from 349 workers unions from 89 countries, and other Cuban groups.